For reasons that made sense at the time, I decided to renovate my office in September, which meant moving all my books to the bedroom and stacking them up on the floor. I thought the project would take three weeks, with everything neatly back in place before I left for Italy. But as anyone who’s remodeled anything knows, stuff inevitably happens—in my case, the discovery that beneath the old carpet lay an unlevel floor with a few rotting floorboards. Needing to put a whole new floor down meant that I didn’t get my books back on the shelves until last week. But while I had definitely grown tired of navigating the stacks of books in the bedroom, the timing turned out to be lucky, for over the break I had the time not just to put the books back on the shelves, but to pause, reconnect and re-acquaint myself with some I hadn’t read for a while, including Don Murray‘s Crafting a Life in Essay, Story, Poem. Along with his fellow New Hampshire-ite Donald Graves, Don Murray was one of the founding fathers of the writing workshop approach, which invited students to follow the same process that actual writers used—pre-writing, drafting, revising and editing their way to a published piece. I’d bought Crafting a Life when it first came out, when most of the work I was doing in schools centered around writing, and I was curious to see what I’d think of it now, having focused so much recently on reading. I was even more curious when I opened it up and discovered that I’d read the book with a yellow highlighter in hand. Would what had struck me as important back then still seem important to me now? Would I see more than I saw before? Would I discover new insights? I doubt I would be writing this if the answer was no. As it was, as I read the lines I’d highlighted, I found myself thinking that I’d stumbled on a whole new way of articulating the reading-writing connection, for on page after page I found parallels between the work of a writer, as Murray describes it, and the work of a reader. Of course, some of these parallels weren’t exactly new. Murray talks, for instance, about the need to form communities where “we share who we are, what we feel, what we think,” which many teachers try to do, too, for both he writers and the readers in their rooms. And he talks about “cultivating a writing habit,” which seems similar to how we help students plan a reading life by setting aside time, creating goals and thinking about what they’ll read next. It seems unadvisable to me, as well, for a reader to know where he or she’s going (at least the first time through a text); for if we did know, there wouldn’t really be any need to keep turning the pages. Not knowing is what keeps us engaged; it’s what propels us forward. And it’s what helps us keep our minds open and receptive to whatever surprises the text holds. If you think, after all, that you know where you’re going, there’s little incentive to attend to the words, especially to those subtle shifts and hints that herald change—until, perhaps, you find yourself lost, which happens to students all the time. “Writing should have led you to a new understanding—or, at least, a new confusion,” Murray writes, which is true for reading as well. 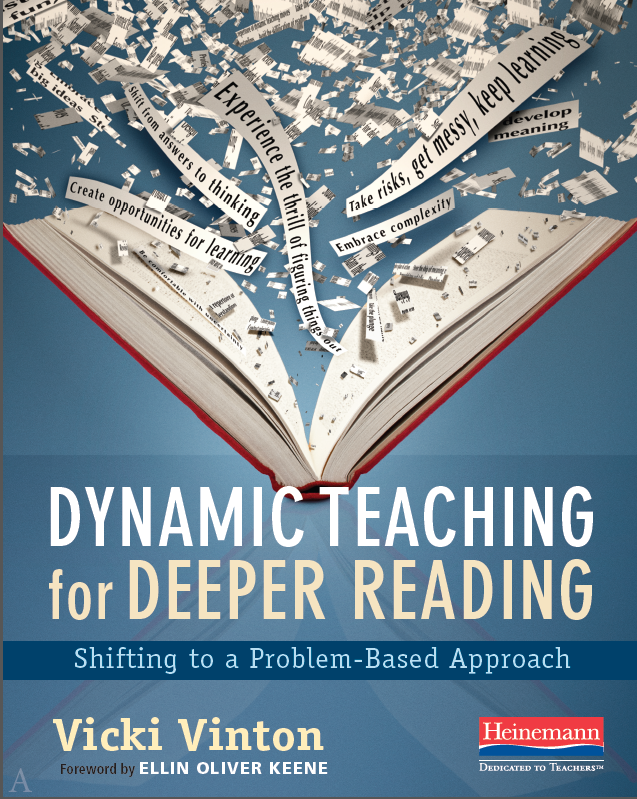 Rereading Murray deepened my understanding of the reading-writing connection and what it means to read like a writer, and it helped me discover what I didn’t know I already knew. Reconnecting with him over the break was also a great way to start the new year. Now I wonder what other surprises I’ll find waiting for me on my bookshelves . . . 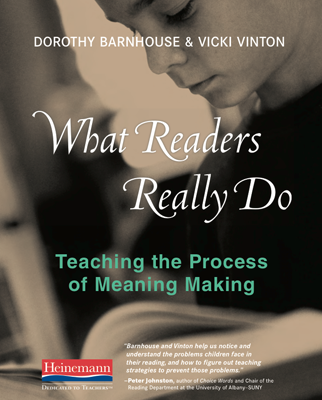 In my part, I’ll be using the lens of talk to share some of the work I’ve written about here and, along with Dorothy Barnhouse, in What Readers Really Do. And I’ll be demonstrating a lesson, using the opening page of Lois Lowry‘s The Giver, that positions students to talk their way from confusion toward insight, with the participants playing the role of typical middle school students—which means that no comment is too literal or far-fetched. Then Jessica will share a clip of “The Giver Geek Squad”—a.k.a. some of her 6th graders—wrestling with some of the patterns and details they’ve noticed in the book. Our session is based on the premise that, as Grand Conversation authors Ralph Peterson and Maryann Eeds say, “Dialogue is the best pedagogy.” And it’s informed by the work of Peter Johnston who, in his indispensible books Choice Words and Opening Minds, demonstrates how profoundly our talk affects students. My time in Reggio, however, reminded me of how important it is not just to give students time and space to talk, but to give ourselves time and space to listen. In fact, listening deeply to what students are saying seemed something that many of us wanted to import from Reggio and bring back home to our schools. In classrooms I think we tend to listen in order to reply instructionally, as we zip from student to student to student, dispensing advice during conferences, or we squeeze in a required number of small groups in a narrow window of time. In fact, we’re often evaluated by how many students we can get to in a day, which seems to suggest that we value quantity over quality, despite whatever we might say, and, perhaps, are more focused on teaching than learning. In my own practice with teachers, however, I often try to do what I was pleased to see affirmed in Reggio: to use what precious time I have to try to understand as deeply as possible what students are doing with the texts in front of them by listening to their thinking. Last month, for instance, I worked with a small group of students as a handful of teachers watched. According to their teacher, all five students seemed stuck at level M. And knowing that level M books often require a fair amount of inferring, especially around characters and their relationships to others, I planned a lesson using the following excerpt from Patricia Reilly Giff‘s book Fish Face, which, as you can see, is filled with revealing details that both show and tell. I explained to the students that we were going to read a chunk at a time then share our ideas about what the writer might be trying to tell us through the details that she’s chosen. But while one student was able to read the first chunk and say that he thought Emily was jealous of the new girl because of “the stuff” about the earrings, the other four weren’t so sure. And as we listened to the talk that ensued, it became clear that those four students were really confused about who was who—who had the brown hair, who had the earrings, who thought about begging her mother—and much of that confusion stemmed from their uncertainty about the pronoun ‘she’. Giving the students the space and time to talk—and listening really closely—allowed us to better understand what was holding those students back. But instead of jumping in to clear up their confusion or offering some on-the-spot instruction, I did something similar to what Reggio teachers do. I took what I’d learned by listening and designed a new lesson—what in Reggio they call a new ‘learning context’—to, in their words, ‘relaunch’ the learning, choosing the following page from Leftover Lily by Sally Warner, which offered similar pronoun challenges. Gathering the four students who’d struggled last time, I began by making a list of pronouns and acknowledging how confusing these little words could be. Then I invited them to think about how we could figure out who those small words referred to as we read a paragraph at a time and talked. And as I and the observing teachers listened, more things came to light. Some students thought the ‘I’ in the first paragraph had to be the same ‘I’ in the second, though others thought that didn’t make sense. Then one suggested that since there seemed to be a conversation going on, the ‘I’ in the second paragraph had to be the person Daisy was talking to, which she thought was Lily. All the students agreed with that, but that didn’t necessarily mean they knew whose heart was going floop. They needed to talk that through as well, eventually solving the problem by replacing the ‘my’ with each character’s name and deciding whose heart would most likely be bouncing or tied in a knot, which is how they interpreted floop. To do this, they had to go back to the beginning and think about what was happening, while also dealing with the pronoun ‘us’. And through this process they ultimately arrived at the idea that Lily, of the flooping heart, was the one telling the story. As the teachers and I thought about what we’d heard, we decided that these students needed much more time practicing this exact kind of thinking in order to truly internalize and learn it, and that they also needed time thinking about how dialogue, narrators and paragraphs worked since they also weren’t sure that the ‘she’ in the last paragraph meant Daisy. The teachers were eager to try and create additional ‘learning contexts’ for them to experience these concepts—and to continue to listen closely to better understand their students’ thinking. I’m eager to listen in Las Vegas as well, where I’m sure there will be much to learn. And I’m eager to meet blog readers in person if any of you are there. Just know, though, that what happens in Vegas might not necessarily stay there . . . . Frequently as I look at the Common Core Standards for writing with teachers, a question keeps cropping up: Is there still a place for genre studies? These teachers and I know that narrative, information and opinion writing are not genres per se. They’re more like modes, which Katie Wood Ray defines in her wonderful book on inquiry-based writing units Study Driven as “the meaning ‘work’ that a writer is doing in a text.” Thus narration is the mode writers uses when they mean to tell a story, while information writing, a.k.a. exposition, is the mode for the work of explaining ideas or conveying information. Genres, on the other hand, are what a writer makes with writing: a book review, a short story, an editorial, a feature article. These genres often employ more than one mode; a feature article, for instance, might begin by narrating an anecdote about the topic, then shift into exposition and end with some argumentation (another mode) that reveals the writer’s opinion. A writer is a reader who is moved to emulate. The Common Core Standards don’t mention genres, though neither do they explicitly prohibit us from studying them. And so I encourage teachers to remember their right to implement the Standards as they best see fit, knowing that the benefits of such study are huge. First, closely studying great texts as writers gives students more options of how to organize and convey information than the deadly structure of the formulaic three- or five-paragraph essay, which at its worst asks students to first tell your reader what your going to tell them, then tell them what you said you were going to tell them, and then end by re-telling them what you just told them. Studying genres also requires students to understand whatever they’re writing about deeply. And as such, the end products are often better assessments of content understanding than forms that encourage students to pluck and insert undigested facts. The third graders I wrote about last fall, for instance, who emulated G. Brian Karas’s Atlantic to write their “I Am China” books fully owned the information they presented. And eighth grade science students using the same mentor text to creatively write about the rock cycle came up with fresh language—such as, “Some of my minerals dissolve in water the way marshmallows melt in hot chocolate.”—which assured their teacher that they’d learned the content. Finally (as I prepare to shift from argumentation back to exposition), there’s the fact that engaging in the same decision-making process that real writers engage in makes students better readers. For in considering what point of view or structure will achieve the effects they’re after and deliberating on exactly which details will best suit and support their purposes, students become more aware of the intentionality in an author’s choices. They see that those details and structures carry meaning, which positions them to attend to the meaning of the choices they encounter when they read other writers. 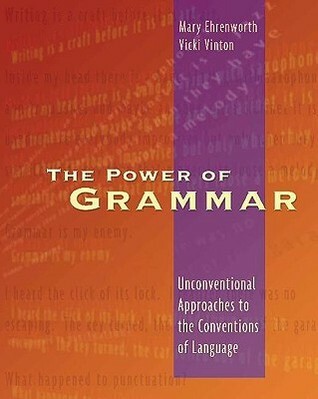 Here students are often able to notice that the writer talks to the reader directly, through the frequent use of the word ‘you,’ in a friendly and supportive way, and that he or she uses a range of punctuation—including ellipses, parentheses, dashes and exclamation points—to create a strong, flexible voice. Dummies writers also tend to use multiple examples of lists that follow the Rule of Three—such as three excuses for not decorating a special cake or three reasons why cartoons are important—which helps elaborate and support their ideas and creates a richer texture. I imagine that it wouldn’t be terribly difficult to shift from personal to more content-related topics, with students writing, say, Mummification or Renewable Energy or The Bill of Rights for Dummies. Such texts would surely be more fun to write and more fun to read than a five-paragraph essay while still accomplishing the meaning work of the mode and meeting the information writing Standard. And students would surely retain more of what they learned about both the content and writing because they’d be more engaged and proud of making such a product—especially when it’s graced with a classic yellow Dummies cover, which can either be drawn or made electronically through the Dummies Book Cover Maker online. And isn’t that what really matters: holding on to learning and feeling the power of language to engage and inform us in so many ways? Let’s not forget that in the rush to meet all the bullet points of the Standards. Then we kept on going, keeping track of our learning, until finally a deer asks the bear what the hat looks like, and as the bear describes the hat, he suddenly remembers that he saw it somewhere and rushes back to find the rabbit. At that point, even the most pro-rabbit readers agreed that the rabbit took the hat, though as we came to the next to last page, which showed the bear happily wearing the hat without any sign of the rabbit, a final burning question came up: What happened to the rabbit? So I turned the page and read this exchange between the bear and a squirrel, after which all the students literally gasped. “The bear ate the rabbit!” they said virtually in unison. And when I asked them what made them think that, every single student pointed to the fact that the bear was talking just the way the rabbit had when he denied having seen the hat. Christine and I both applauded the students for the amazing thinking work they’d done, and as we debriefed, she shared that she’d been struggling with teaching some of the very same strategies the students had actually used here. Questioning came up automatically here, as did predicting (though I deliberately reframed their predictions as questions to avoid the kind of ‘right’ or ‘wrong’ thinking predictions sometimes engender.) Most notably, they also inferred, with Alay additionally making a connection that enabled him to consider that the rabbit might be lying. And they did so as a natural outgrowth of readers trying to make meaning of a text, not through a typical strategy lesson. Of course, many of the students will need more specific instruction and time to practice the kind of work Alay did, which laid the groundwork for the students’ insight at the end. The whole class might benefit, for instance, by returning to this text to become more aware of the clues the author planted (not all of which they caught this first time). And they could use additional practice in thinking specifically about the possible subtext in a character’s dialogue, using books like Ruby the Copycat by Peggy Rathmann or any number of books from the wonderful Elephant and Piggie series by Mo Willems. These could be done in a subsequent read aloud or in a more targeted small group. But either way, I’d begin by reminding them of what they were able to see and understand in I Want My Hat Back. And that reminds me of another no: No to the deficit model of learning—and yes to building on strengths.